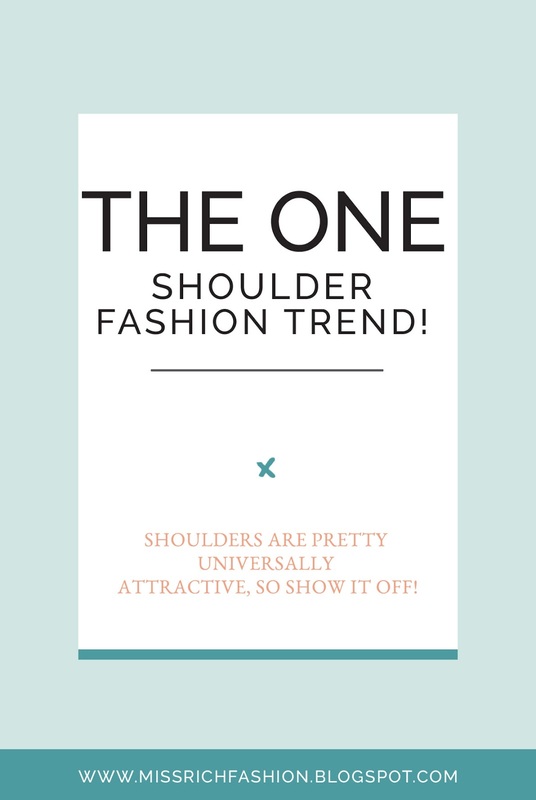 With 2016 being the year of the off-the-shoulder, 2017 is kicking off with a little more clavicle coverage in the form of the one-shoulder design. Showing off just the right amount of skin, the look took spring and summer by storm. One Shoulder is something that I always liked, it creates such a pretty silhouette, whether it's a dress or a top. Whether it's trendy magenta or classic black, choose a solid-coloured one-shoulder piece if you're feeling nervous about the style. You can still look for chic accents, such as beading or ruffles, to give your solid colour some punch, but don't be afraid to go basic at first. Nothing looks classier than a one-shoulder top paired with straight leg or palazzo style pants. Stick to matching neutral shades for a chic, understated look or go for contrasting colours to truly make an impact. Celebrities have been rocking one-shoulder dresses with hot belts to showcase their waists and keep their styles far from frumpy. 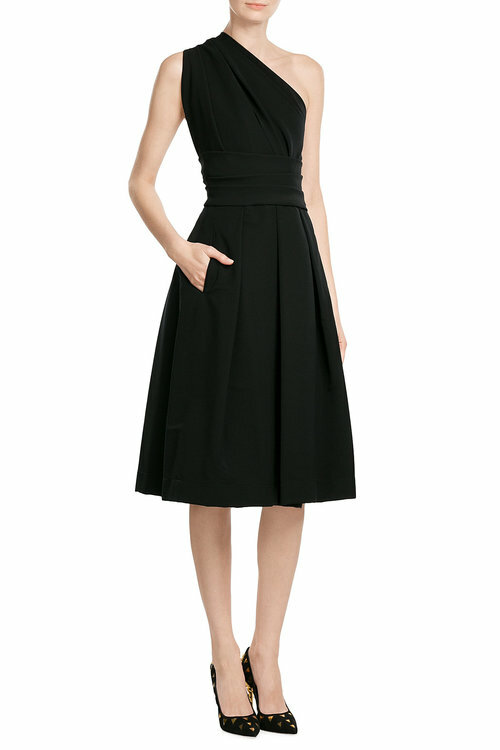 A fabulous pair of shoes and a great bag are all you need with a one-shouldered dress. If you're going to wear jewellery, try a cocktail ring or glitzy earrings - you don't want a necklace competing with your neckline! 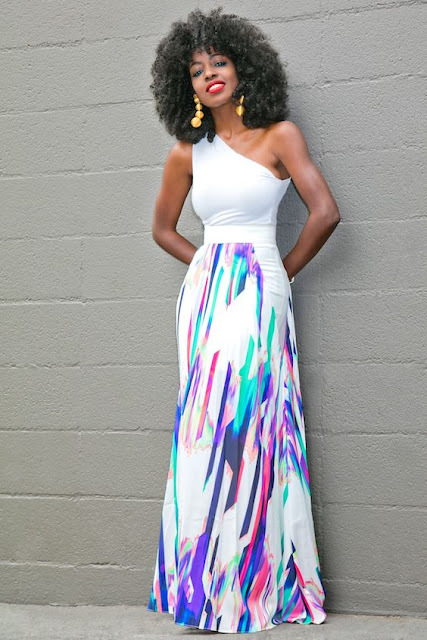 This is a style that is made to be seen, not layered over. Shoulders are pretty universally attractive, so show it off! If you need to keep warm, try an open blazer, cardigan, or bomber jacket so your cute threads can still be seen. Like most items of clothing, all one-shoulder tops fit differently, so you're going to want to try on a variety of options before making your pick. Sometimes the necklines can hit at the wrong places or fit uncomfortably. 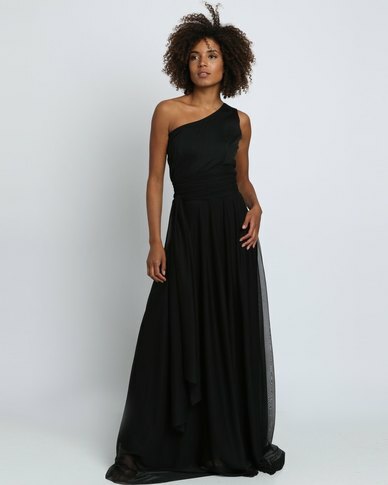 There are lots of options within this look, from the traditional Grecian style to one full sleeve or even a solo spaghetti strap. Pick what speaks to you and go from there! Pick your bra wisely! One-shoulder styles demand a strapless bra. Those colourful bandeau bras you might have in your closet from last spring also work well under one-shoulder tops. 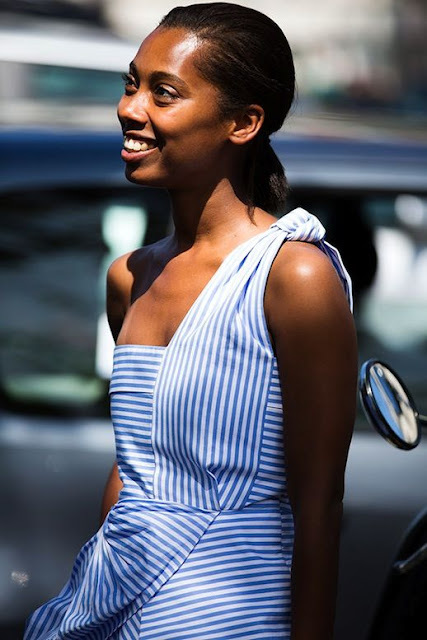 Your bare shoulder provides the beauty of this look - don't clutter it with a bra strap! Here are a few chic one shoulder pieces that will ensure you are on trend this season. Also, let me know if there any other trends you're wondering how to wear! I'm always looking for ideas for new articles and am happy to help solve your fashion dilemmas.